Don’t just take our word for it, flick through any top fashion magazine, Elle, Glamour, Vogue, Cosmopolitan etc. 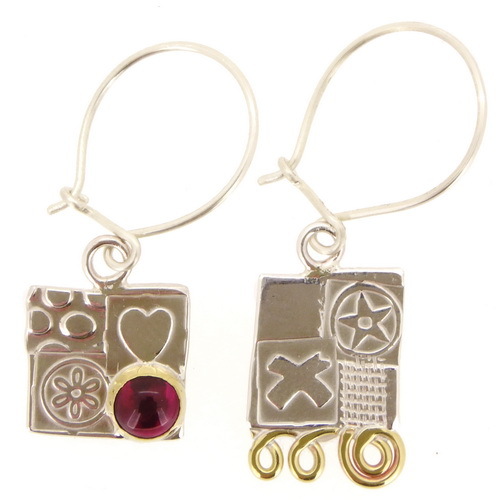 and you can find a wonderful array of asymmetrical earrings featured. 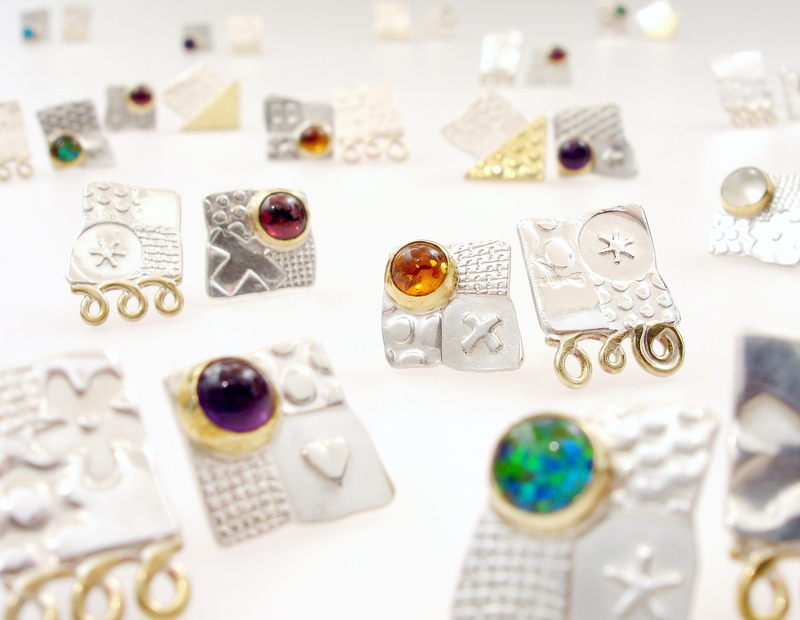 The catwalks around the world, are also brimming with models who are wearing fantastic asymmetrical earrings. 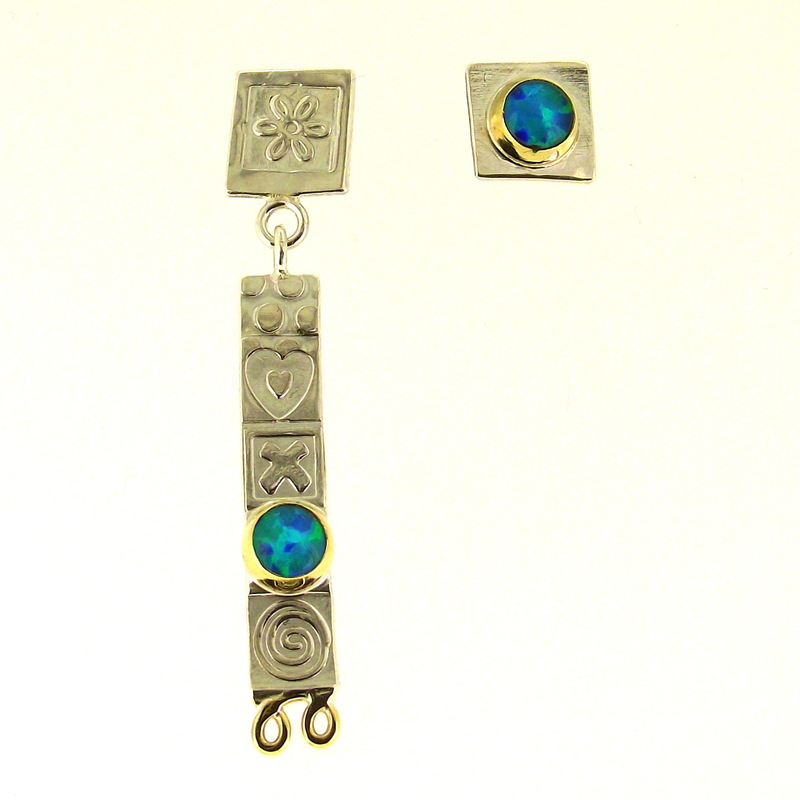 The earrings above and below are a new addition to our asymmetrical range of jewellery. They are dramatic and very eye catching when worn. 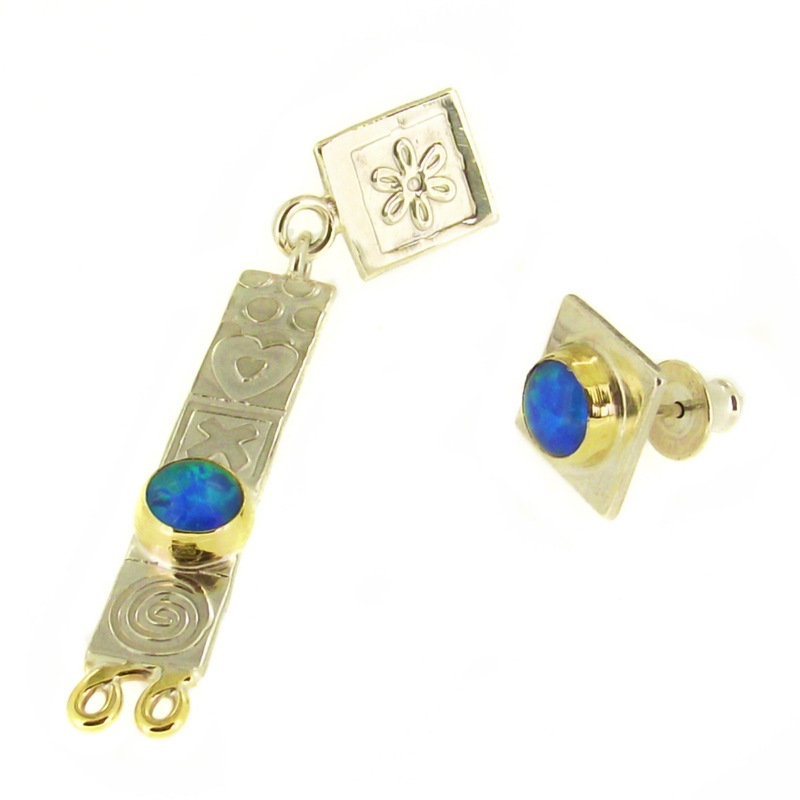 They feature a pair of spectacularly coloured, man-made opal triplets. These beautiful opal triplets have been specially made for us and they show a wonderful play of colour. We are so pleased with them. 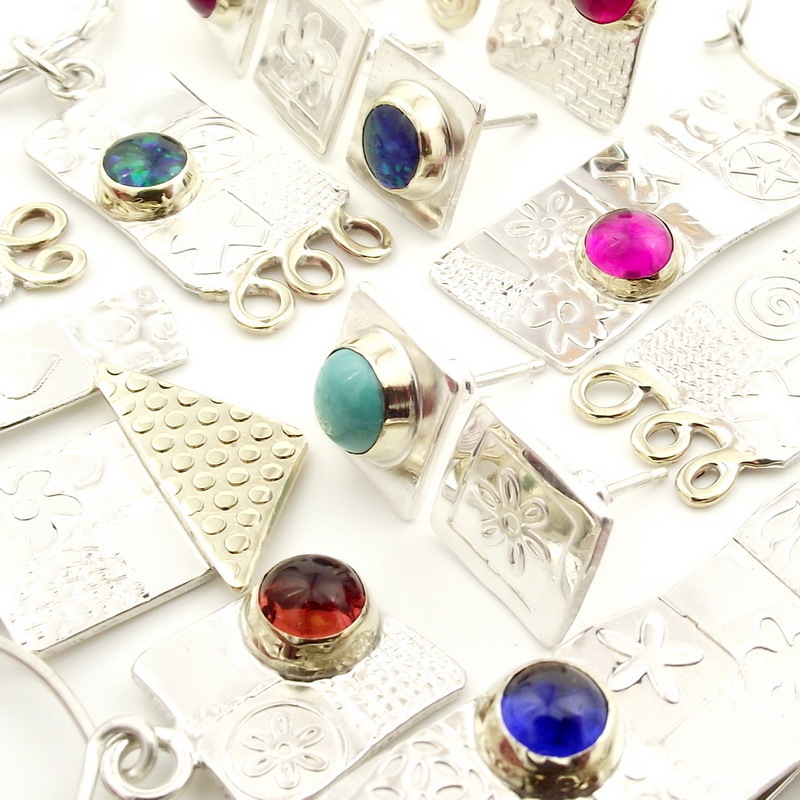 A range of our Asymmetrical jewellery. 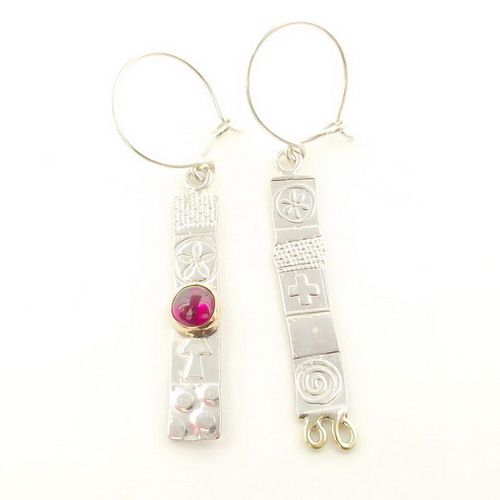 Long, pink corundum Asymmertical earrings.